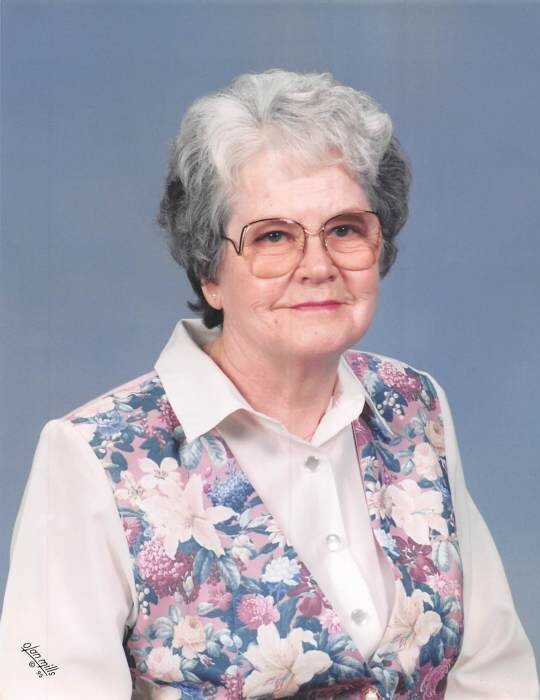 Margaret A. Hohenberger, 91, of Logansport, passed away Saturday March 30, 2019 in Chase Center, Logansport. Born on August 10, 1927 in Defiance, Ohio, she was the daughter to the late Lloyd J. and Goldie (Lovejoy) Maag. On May 26, 1946 in Defiance, OH Margaret married James E. Marchand who preceded in death May 7, 1995. On February 15, 1997 in Defiance, OH, she married Bernard L. Hohenberger who preceded in death April 25, 2012. Margaret was a homemaker. She was a member of Saint Paul United Methodist Church in Defiance, OH and attended Cross-Wind United Methodist Church here in Logansport. Survivors include one daughter, Cindy Hodges, Logansport; two sons, David (Nancy) Marchand, Nashville, IN; Richard (Leanne) Marchand, Morgantown, IN; nine grandchildren; seventeen great-grandchildren and five great-great grandchildren. Preceding her in death are a daughter, Carol Miller, one granddaughter, one great great grandson and a brother Richard Maag. Visitation will be held from 2:00pm until 4:00pm on Thursday April 4, 2019 at Gundrum Funeral Home. A private burial will be held at Riverside Cemetery in Defiance, Ohio.